Well, the blog hop continues with Traci Bautista up this week! Traci is an amazingly talented artist and I’m looking forward to teaching with her in North Carolina in a couple of weeks. More on that later. I actually signed up for one of Traci’s online workshops yesterday! I decided to treat myself as she has one on using your iPad and I really want to learn more about making art on mine! I you should not even have a clue how I finished up these, however As i believed it submit is once decent. I don’t fully understand who you may well be but obviously you’re able to a well-known blogger as you aren’t definitely Cheers! 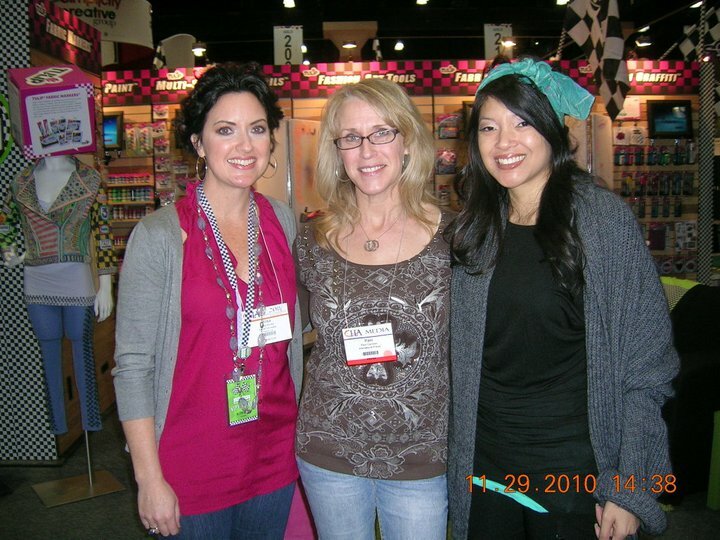 pamcarriker posted: "Well, the blog hop continues with Traci Bautista up this week! Traci is an amazingly talented artist and I'm looking forward to teaching with her in North Carolina in a couple of weeks. More on that later. I actually signed up for one of Traci's online wo"
look at this photo: my three favourite teachers together!